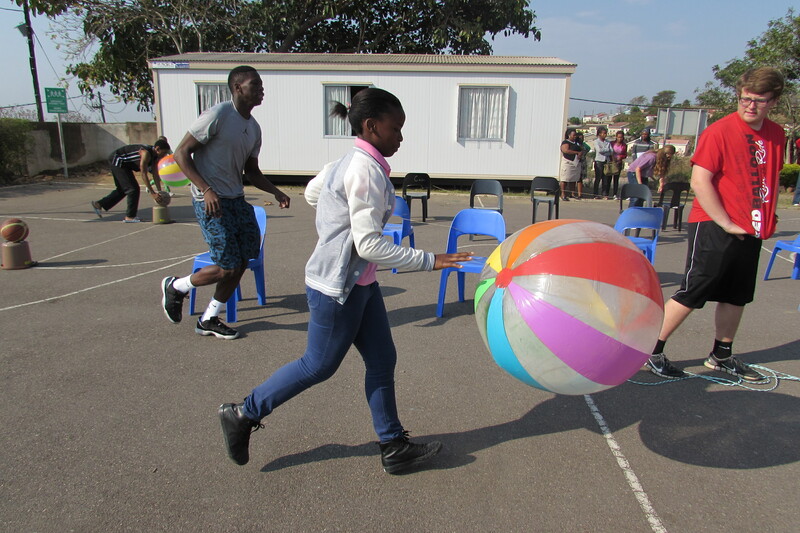 This past week, CAST partnered with an American team from Lake Pointe Church in Texas to organise a holiday club for the children in KwaDabeka. 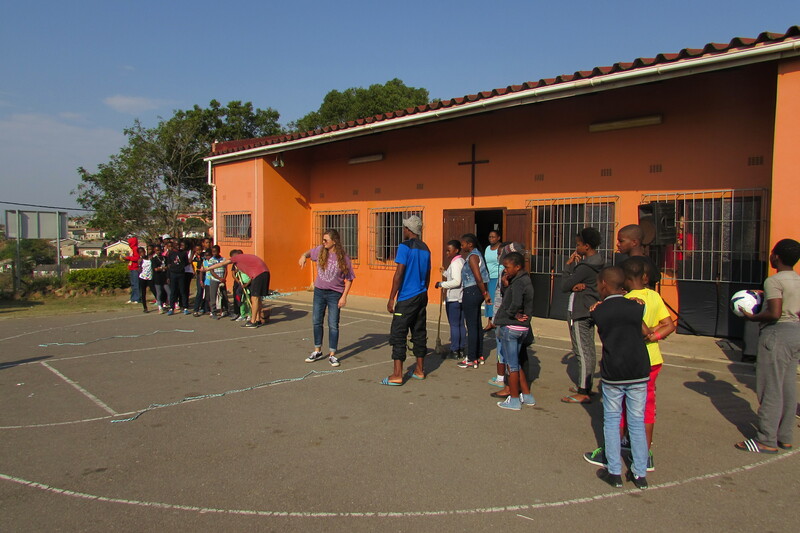 On Monday, the team did training with local volunteers and invited kids from around the neighbourhood to come to KwaDabeka Baptist Church for holiday club. Though it was very cold in the beginning of the week, kids showed up to learn more about how God loves them and wants a relationship with them. 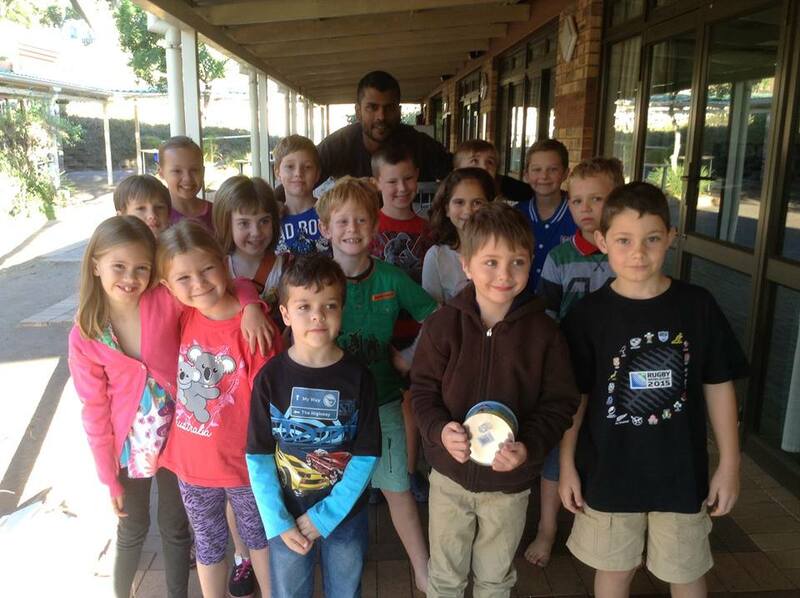 As the weather warmed up, over 100 kids showed up for holiday club on both Wednesday and Thursday. The messages and activities focused on perseverance through trials and serving each other. 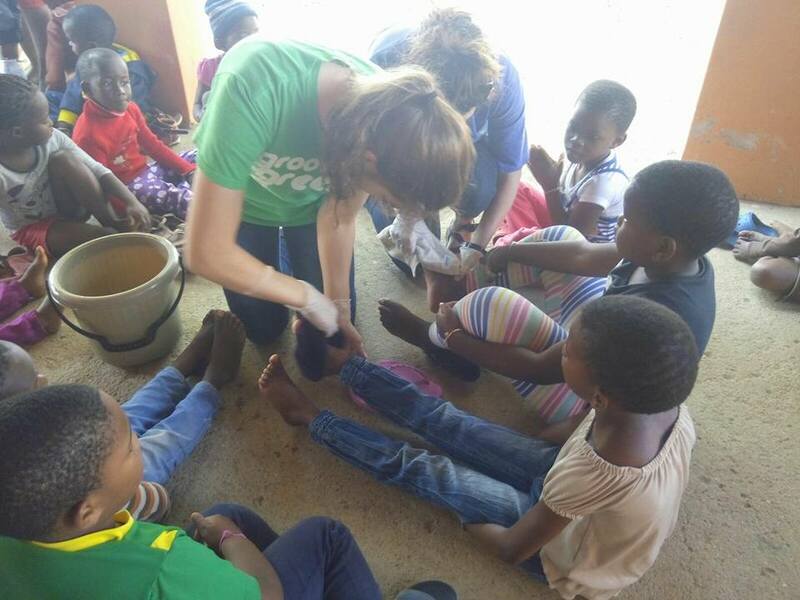 The American team and local volunteer team were able to model a practical example of service from the Bible by washing the feet of the children. CAST is incredibly thankful for all the volunteers who made this holiday club possible! Special thanks to the team from Lake Pointe Church who came all the way from Texas to reach kids in our community with the love of Christ. 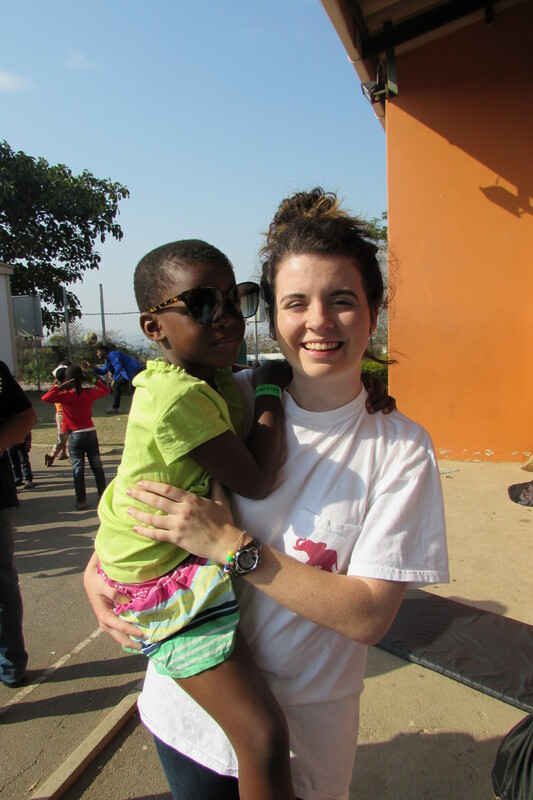 During these school holidays, CAST has been blessed with an amazing volunteer from the States. Although if you chat with Rebecca you might think she is South African because of her accent! Originally from Westville, Rebecca moved to the States when she was 6 years old and grew up in Texas. Currently she is studying International Relations at Boston University and hopes to graduate in the upcoming year. Her journey to CAST began with a search for an internship as one of her degree requirements. Because Rebecca is completing her Bachelor’s degree in 3 years instead of the typical 4 years required in the States, the search for an internship was incredibly competitive with other students who were already in their fourth year of study. Rebecca also had the added weight of deciding between a career in the NGO or corporate world. 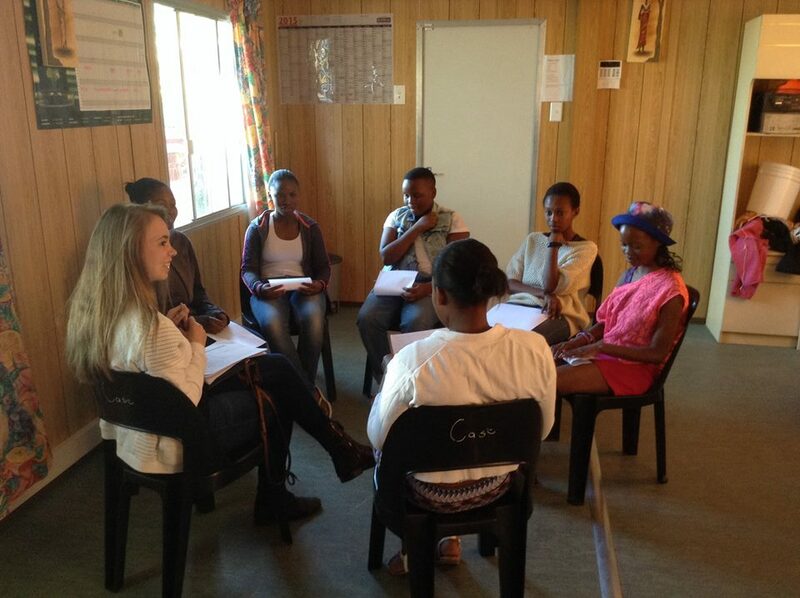 However, through a family friend in South Africa, Rebecca heard about CAST and was able to join the team for her summer holidays to fulfill her internship requirement. While she has been doing a bit of everything – from chopping flyers to helping out with holiday club – her favorite part of the internship has been her work with the Youth Development Programme in KwaDabeka. She describes it as the “ripple effect” – transformation starts with one person reaching out, and in the end results with a whole community being impacted. During her first week of internship, George Mwaura, CAST’s Youth Development Manager, asked Rebecca if she could lead a Bible study for the girls basketball team. The first few weeks Rebecca spent just building relationships with the girls. She then had the idea to have the girls write “Letters to God” where they asked God one serious question, and one funny question. This opened up the floor for the girls to discuss important spiritual issues. 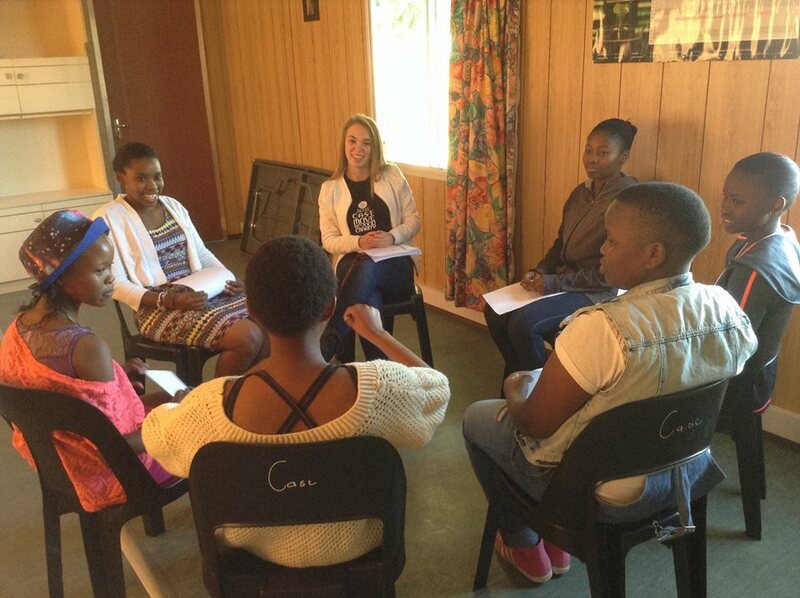 From an academic side, Rebecca has tried to figure out what the girls need to achieve their goals. Most of the girls on the team want to attend university but need assistance in applying for bursaries. Please keep Rebecca in prayer as she finishes her internship with CAST at the end of this month. Also, CAST is looking for a female basketball coach to continue working with the girls team. If this sounds like something you’d be interested in, please contact George Mwaura at george@cast.org.za for more information. 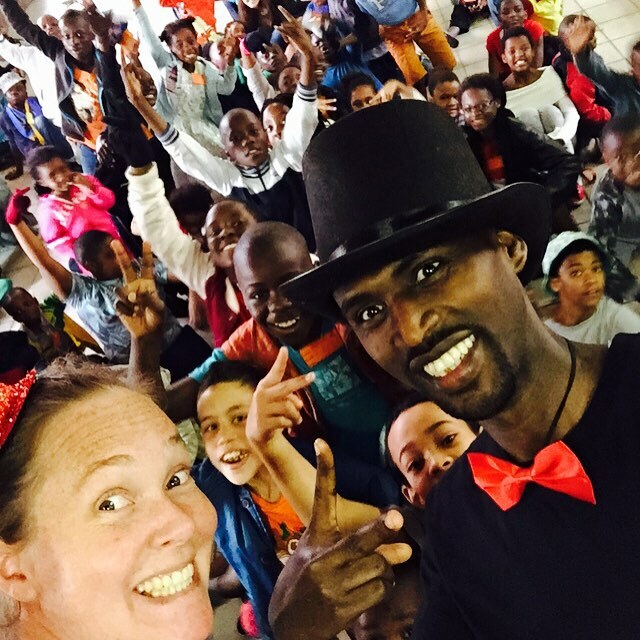 Every year Westville Baptist Church, CAST, and an amazing team of volunteers partner to put together a fun and exciting holiday club for children who attend Addington Primary School. This year was no different! The theme was “Showtime” and the kids were part of the ‘live’ show. The theme focused around how God loves us and all about how to be a good friend and have good friendships. The messages centred around making real life applications from movies clips. 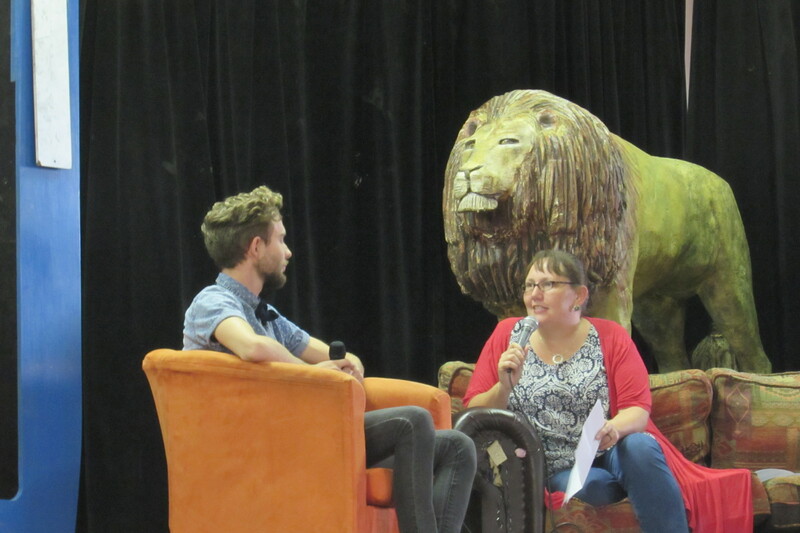 Daniel from the Bible also came to visit our kids at holiday club, and shared all about his story! Lastly, CAST hosted a Parent Evening last night at Addington so parents could come and see what their children had been learning at holiday club. 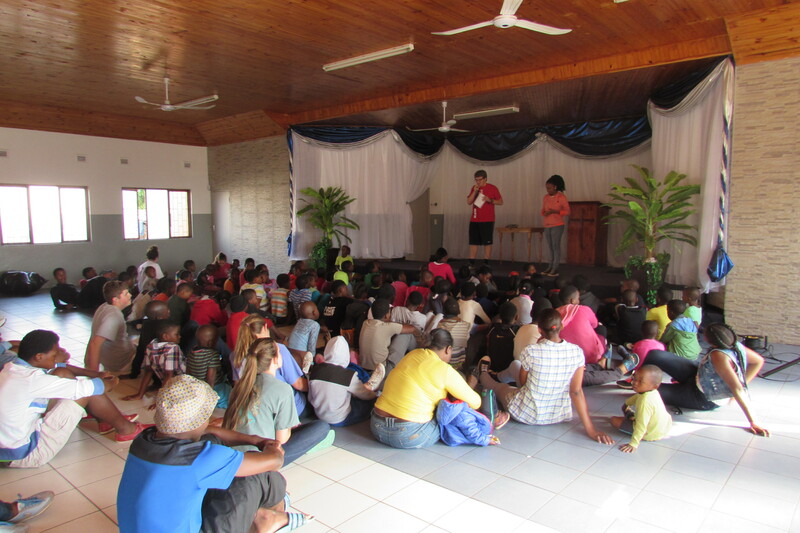 Parents also received special gift packs, and were encouraged by guest speaker, Moira Longe. Please be in prayer that the kids at Addington Holiday Club continue to grow in their relationship with God and are able to be an awesome friend to the people around them! Thank you to everyone who gave of their time and resources to make this holiday club possible. Advancing the Kingdom: Promise Land Style! Oftentimes we can learn a lot about the Kingdom of God from children. Some of the children in Promise Land at Westville Baptist Church have decided to show the love of Christ to their neighbours in a very practical way. It all started with learning about helping the poor. As the children learned more about the needs of those around them, they decided to act. 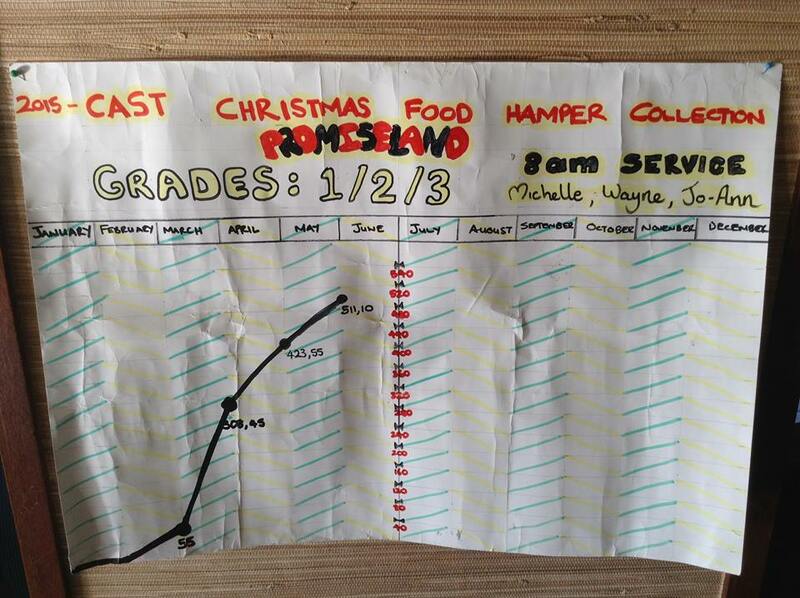 With the help of their group leader Wayne, the Grade 1-3 children in Promise Land made a plan to raise R500 by Christmas to donate towards CAST food parcels. The goal of this project was to encourage the children to bring offering for a practical cause they learned about in Promise Land – helping the poor in our community. CAST food parcels cost R140, and contain enough food to feed a family of four for two weeks. As the children brought in their weekly offering money to Promise Land, they tracked their progress towards R500 on a chart. One child brought his entire allowance for the first term, a total of R150, to give entirely towards food parcels! Recently, these children reached their goal of R500. 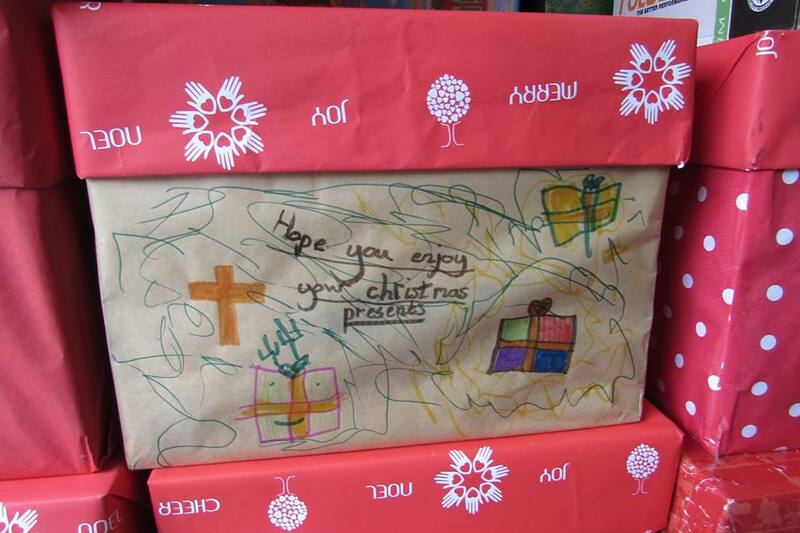 Meeting their goal earlier than expected has encouraged the children to continue to give towards food parcels. So often we make excuses for not giving towards the needs in our community. What a great challenge from the Promise Land children to use what we have to advance the Kingdom of God! If you would like show the love of Christ to a local family in need through a food parcel, please contact Amy Benn at amy@cast.org.za or 031 267 1716 to find out more about the Snowflake Drive. Let’s follow the humble example of WBC’s children in Promise Land and give with a cheerful heart!